*Noosa Beach House Peter Kuruvita – Right in the heart of Hastings Street, replacing Catos Bar at the Sheraton, this is really fresh, clean and beachy with a relaxed vibe in the bar for cocktails and all day dining or seriously delicious Sri Lankan inspired cuisine in the restaurant. *Locale – Noosa recently sadly said goodbye to the fabulous Italian institutuion that was Lindonis but the owners have just launched their new baby – Locale. Located down at the Paris end of Hastings Street, this well designed modern Italian Trattoria is offering relaxed dining and a great wine bar. *Miss Moneypenny’s – on the site of the old Ma Mensa on Hastings Street, this sprawling new cocktail bar-restaurant opens on 01 November and offers a fun atmosphere and funky cocktails for those coming straight off the beach or heading out in style. Noosa is still heaven for foodies with plenty to offer on and off Hastings Street. Noosa Junction with it’s relaxed vibe, eclectic shops and cafes has been given a facelift as has parts of Gympie Terrace at Noosaville. 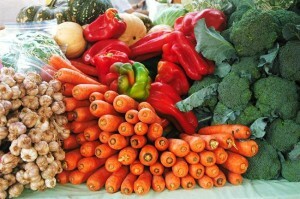 The fabulous Noosa Farmers Markets are still a ‘must do’ for anyone visiting Noosa to stock up on the freshest local fruit and veggies and those amazing Noosa Red tomatoes,Gympie Goats Cheese, Essential Grain breads, Noosa Spanner Crabs and so so much more! It’s hotting up in Noosa but there’s a fresh vibe in the air, perfect swell and lots of fresh new faces to meet! Sounds easy right? Not so! There’s no simple answer. Everybody wants different things from their Noosa holiday and all have a unique set of needs, expectations and aspirations. There’s definitely no one fit for all. So, to help them decide on where to base themselves to get the best from their Noosa experience, I give them a basic rundown. Noosa’s not big of course, but like any other town, it’s made up of nooks and crannys, micro destinations and mini villages, each with their own vibe, personality and unique benefits. What’s perfect for you and your partner, family or friends may not be right for others and even if you are a frequent visitor, you may be looking for a different experience each time. 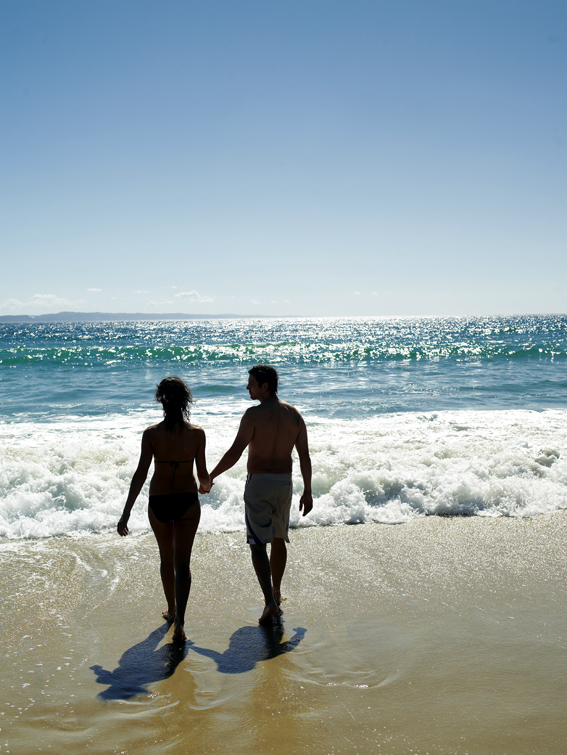 To make easy, here’s a very quick outline of some of the great spots on offer within Noosa. Hastings Street: Need I say anything at all? 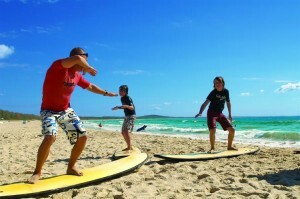 The best loved and most popular zone for Noosa holidaymakers, especially 1st or 2nd time visitors. It’s the hub, it’s where all the action is; the beach, national park, restaurants, bars, cafes, shopping, apartments, hotels, backpackers. If you’ve stayed here a few times, you may be looking for a quieter, more peaceful experience or may be keen to explore another side of Noosa. Great for couples young and not so young and families with little ones. Little Cove: Just off Hastings Street and on the way to the National Park, this lush and leafy nook is well loved by locals and holidaymakers alike for its natural feel, easy proximity to Hastings Street, Main Beach and also the sheltered beaches within the National Park. Plenty of birdlife, goannas and the odd koala, it’s also home to some stunning holiday houses and apartments. Just be aware some of the steep slopes and stairs will give you a serious workout. Couples and fitness types love this place. Noosa Hill: It’s all about the views on Noosa Hill. Some of the houses and apartments offer stunning Noosa panoramas from the crest of the hill and up high on the slopes. Again, easy access to the beach and Hastings Street but there is the walk back up to consider if you want to do without the car. Strolling distance to the pub (Noosa Reef Hotel) for lunch or dinner with great views and easy walk to the Junction (Noosa Junction) with it’s eclectic array of shops and cafes. Great spot for couples, walkers, families with older kids. 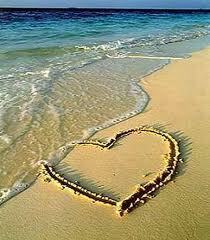 Sunshine Beach: A well loved., true beach holiday experience. Gorgeous houses and apartments on offer and a cruisy, chilled out village with great bars, restaurants, cafes and delis. The beach is beautiful but wild most of the time with great surf and and a seriously great surf club . You’ll need a car to get to Hastings Street and pretty much anywhere else or you can use the local buses. 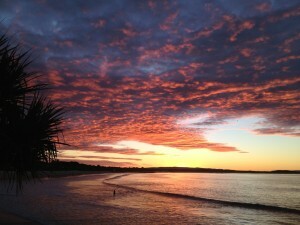 Noosa Sound: Totally different again to all of the above. A serene Noosa River backdrop to your holiday experience. 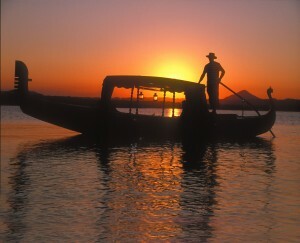 Plenty of apartments and all manner of holiday houses which mostly overlook and have easy or direct access to the river. Perfect for families who want to get their feet wet with a fun filled fishing, sailing, kayaking or stand up padding kinda holiday. Quamby Place is tucked on the water and is home to some of Noosa’s finest dining experiences. It’s a nice, flat easy walk to Hastings Street but you can also get there by ferry to go further updstream to the ever popular Noosa Marina and to drop in on the restaurant and café action on Gympie Terrace, Noosaville. Noosaville: Something for everyone here. Hugely popular with locals out exercising with their dogs early in the morning, catching up for coffees mid morning, mums and kids with scooters, bikes, and strollers all day long. 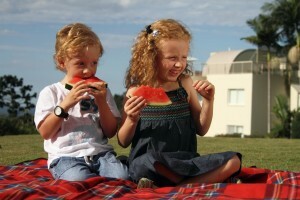 Hugely popular family spot dotted with palygrounds, watersport and boat hire places. The main drags are Gympie Terrace which runs right along the river frontage and is dotted with shops, cafes, restaurants, icecream – all fantastic and great value. Thomas Street is the local ‘eat street’ there but also offers fashion, lifestyle and gift shopping. Noosa Hinterland: The lush, green backdrop to Noosa’s beautiful beaches, this area is picturesque and serene. Elegant country houses and quaint B&Bs are nestled in bushland, on mountain peaks and even lakeside. This is the perfect retreat for those keen to escape the hustle and bustle of city life. Bird life is the only noise and it’s an easy, short drive to great country markets, arts and craft centres, rustic pubs, good cafes and still no more than 30 minutes to the beach. They’re all fabulous, it just depends on what is your idea of holiday heaven. Maybe it’s all of them at different times and for different reasons. There’s so many options for an entirely different holiday experience each time you come to Noosa. Thank you to everybody who took the time to enter our Dream Holiday competiton. We received an incredible response and some very creative dream holidays – many of which have given us inspiration for exciting new packages. Our congratulations go to Megan Olsen from Hervey Bay, Queensland! 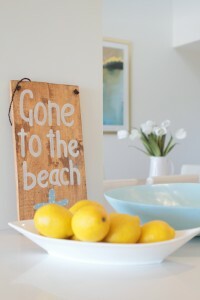 Megan has won her own Noosa Dream Holiday creation….and it’s no longer just a dream. We have now launched it as our newest package. 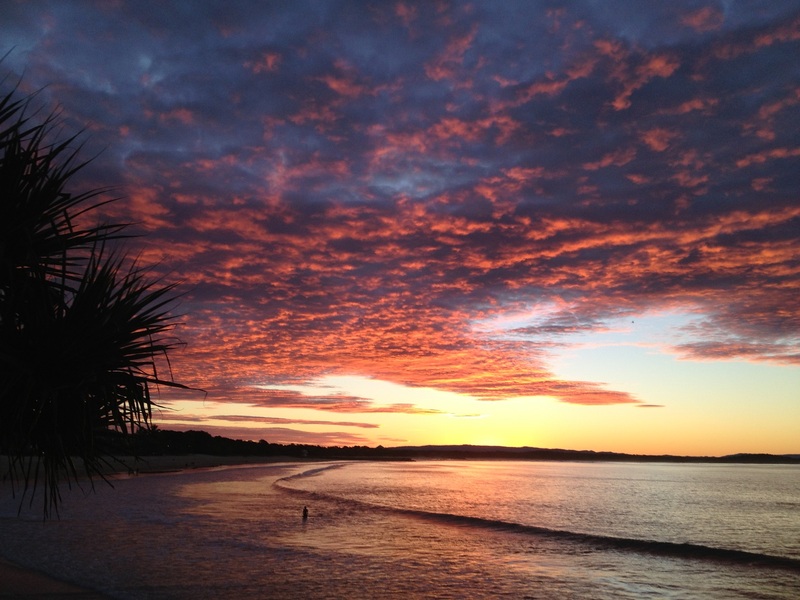 It’s called Megan’s Noosa Dream Holiday and it’s available for everyone to book and enjoy. Just visit the Specials section of our website. Here it is. We hope you like it! Our congratulations also go to Bernadette Hendry from Brisbane. 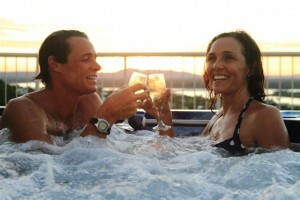 Bernadette won our Facebook/Twitter prize of a dreamy weekend for 2 in a Premium Apartment at Noosa Crest. To keep your dream alive, and to thank you for taking part in our competition – we invite you to take 20% off all apartments and penthouses at Noosa Crest (for stays of 3 or more nights) before 28 March 2013 – excluding Peak season & Noosa Triathlon. Just quote NOOSADREAM offer when booking. What makes a great family holiday? Every family is different (some more than others!) but when it comes to ensuring that the investment made in a family holiday is worth it – for everyone, it can be tricky. Get out there! Choose somewhere totally different from home – invigorate their senses, and give them a whole other perspective ie. Get away from cars, signs, traffic lights, shops, houses and head to the beach, the bush, the mountains, the snow, an island.…somewhere different. Zone out! Get them out of their comfort zone by doing things you don’t normally do ie. Learn to surf; Stand up paddling; cooking class; boating, crabbing; shell hunting, kite flying, jetskiing, fishing, star gazing, elephant riding, mountain climbing, parasailing, enjoy a massage or special treatment. Lighten up! Take very little…just the basics. Definitely no technical gadgets, no ipods, iphones, ipads, gaming devices etc and turn the phone off. Check it once a day if you have to, then switch it off. This is time to be fully present. Tempt the tastebuds: Food memories are often ones that stay with us ever – bringing back that holiday feeling for years to come. Use the opportunity to get them out of their normal eating routines and challenge them to try some of the local cuisine. Freshen up their tastebuds with the local seafood, tropical fruit, desserts, fresh coconut..it’s part of the experience. Move it! Burn up some energy and tire them out with a little exercise. 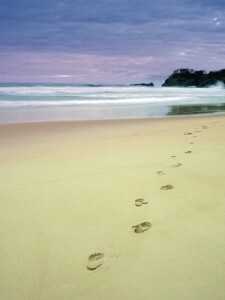 Early morning dip and a surf, bushwalk, mountain climb or sunset beach walk will usually do the trick. Slow it down! Every day needs some quiet ‘me’ time for everybody. Give everyone some space to do their own thing in peace. Have fun! It’s a holiday after all so it’s a great excuse to do fun stuff and laugh at each other and at yourselves ie. Belly dancing! Chill out! Well, that’s a given. Best wishes a wonderful family holiday. Dream up & win your next holiday! There’s competitions and there’s competitions but there’s only one ‘Win YOUR Noosa Dream Holiday’ competition! We seriously believe that Noosa is one of the dreamiest destinations in the world….and we want to create a fantastic Noosa Dream Holiday package for our guests. So, we thought we’d ask you all out there to help us – and if we choose your creation, you will win YOUR Noosa dream holiday and you’ll get naming rights to our new package eg. Sam’s Noosa Dream Holiday’. It’s easy! Just Click the ‘Win a Noosa Holiday’ button on our homepage (www.noosacrest.com.au), choose your favorite inclusions from the options and add your own (within reason….supermodels and sports cars excluded! ), then share 3 of your friends and you’re in with a chance. For more chances to win…just pass on the word via Facebook or Twitter and you’ll receive bonus entries. And, you never know, if one of your family and friends win the holiday, they might just invite you to join them. 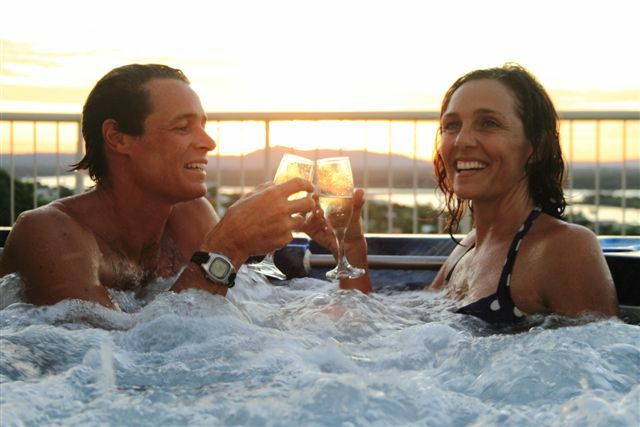 Celebrate winning your Noosa dream holiday! From chatting to our many repeat guests, we know that most new visitors to Noosa end up returning again and again and again. After fully indulging in Noosa’s icons; Hastings Street, the beautiful beach and National Park, they then look beyond the tourist trail and start to uncover some of the local gems. These are pure gold! All great travellers know that the real soul of any great destination is behind the tourist trail – it’s finding where the locals hang out. Here are a few great local gems that are off the tourist radar. 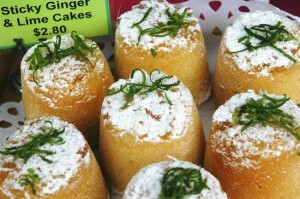 If you’re not acquainted with these, we hope you’ll put them on your list for next time…. Just a short & easy drive to Rene Street in Noosaville will find you at Belmondos Fresh Food Market, a food lovers paradise. Locals love to shop at Belmondos for a wide range of gourmet foods from around the globe including fresh produce from talented local producers. Grab a selection of dips, cheeses, olives, fresh bread, fruit & vegetables – perfect for that sunset cheese platter to enjoy with a glass of bubbly. 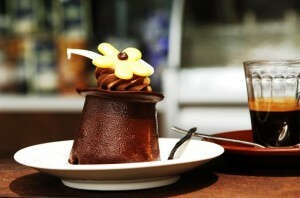 Settle in with the locals and enjoy what some consider the best coffee or a casual lunch in the café. If you’re up for some relaxed retail therapy, take a 15-minute drive south of Noosa to the Peregian Village Square and explore and discover a diverse range of great clothes, gifts, homewares and more. Make a day of it and enjoy lunch at the delightful Pitchfork Restaurant. If you’re looking for fresh, local produce or something hand-made or original, the Peregian Markets offer an eclectic array of products and local produce held on the first and third Sunday of the month. This funky, friendly restaurant and bar is at Sunshine Beach and it’s quirky, eclectic mix of retro and vintage furniture that creates a relaxed cosy and welcoming atmosphere in which to chill out and enjoy organic coffee, wine and yummy, well priced mezze, pizza and everything in between. This place is always packed for breakfast on weekends and at morning coffee time for good reason. Seriously delicious café food for breakfast and lunch. Great coffees, quick service, and gorgeous Noosa River outlook too. Gympie Terrace, Noosaville. This gorgeous shop has 2 locations. One at the Noosa Marina and one on Thomas Street Noosaville. As the name implies, everything here is white – from furniture, lamps, cushions, mirrors, cuddly toys and lots lots more beachy homewares and clothing. You will find the perfect gift here everytime. A warm, welcoming, friendly, locals dining treasure in the heart of Noosa. Tucked behind Noosa Heads on Weyba Road, this unpretentious, rustic restaurant feels like you’re dining at a friends home. Stunning food, no fuss, effortless service and a terrific attitude. Love it! Take the car ferry from the end of Moorindil Street, Tewantin – it’s a short, 2-minute trip across the river to another world. 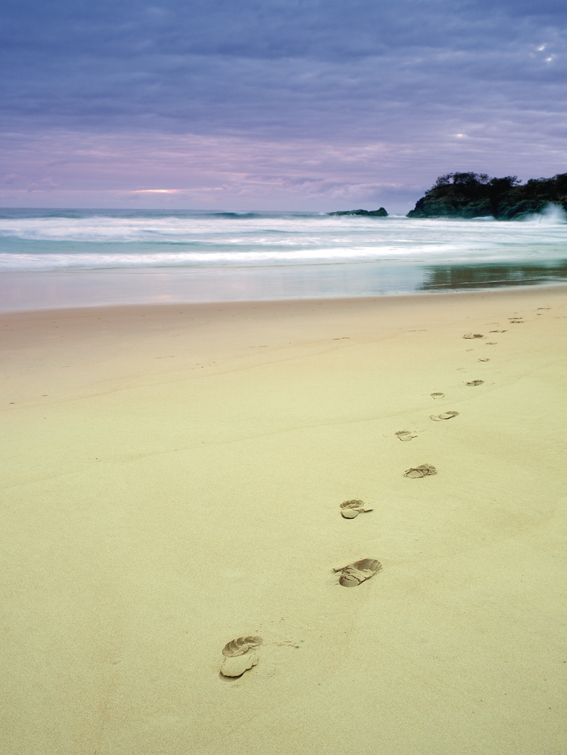 Some parts of Noosa North Shore are accessible by all vehicles, although 4WD is needed to travel along the beach. The Great Sandy Bar & Restaurant serves excellent pub meals, and has a Kids Entertainment area, where they can watch movies, play their favourite games on the playstation or jump around on ‘The Giant Pillow’ and Playground. Well that’s a good start.! Enjoy! We’d love to hear if you’ve discovered any other great gems behond the tourist trail.